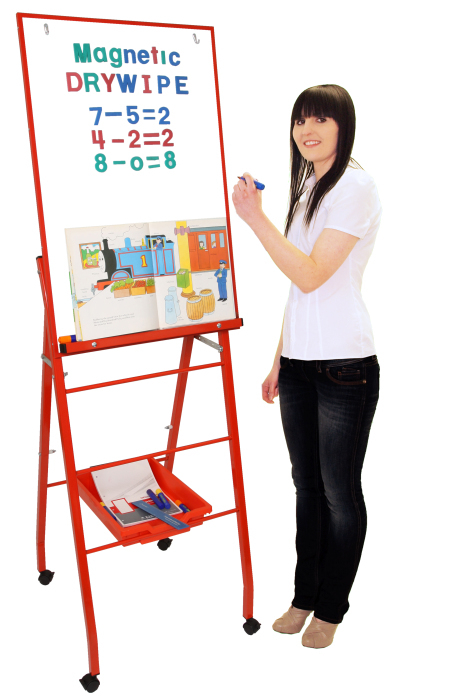 At its maximum height, this A-Frame easel is a perfect teaching aid for the front of class presentations. The sturdy A-frame construction guarantees complete stability and total safety within the classroom environment. With three lower positions to choose from the uniquely designed magnetic and dry-wipe whiteboard simply clicks on and off at the height required.